Rugged style and incredible capability are the hallmarks of this terrain conquering off-road vehicle. Dominate in your next adventure with the help of a vehicle that is designed to pull more and tackle life’s challenges with ease. The iconic seven—slot grille is proudly featured prominently, and you’ll love the open-air freedom that is designed to inspire and thrill you with outstanding options for adventuring. Give us a call and we will get you set up with a test drive today. Why LEASE 2018 Jeep Wrangler JK at any other dealership when you can get your lease at Pollard Jeep? An impressive exterior is designed to provide you with exceptional capabilities. This vehicle comes with an iconic seven-slot grille and removable doors and top. The vehicle is designed with upscale options for those who want a good-looking vehicle that is also incredibly capable. 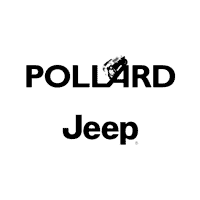 Why LEASE 2018 Jeep Wrangler JK at any other dealership when you can get your lease at Pollard Jeep? Available LED headlamps are designed to give you a clearer and brighter view of the road. Additionally, you’ll love the heavy-duty tow hooks that are perfect for helping you get out of nearly any situation. The entire vehicle is designed with performance and off-road capability in mind, and you’ll love how this vehicle is designed to help you get more accomplished. Tons of interior options are available. The vehicle comes in a few models, including the Sport, Sport S, Willys Wheeler, Golden Eagle, Freedom Edition, Sahara and Rubicon models. With a total of nine models to choose from, you’ll be able to find the perfectly appointed vehicle for you. Radio 430 NAV, amazing storage solutions and great sound offer you an incredible level of support. The vehicle comes with an optional nine-speaker all-weather system that comes with four tweeters and a subwoofer for deep bass and outstanding sound quality. The 2018 Jeep Wrangler JK is available for lease at our dealership serving Thornton Colorado buyers. Come down and explore the 2018 Jeep Wrangler JK near Thornton and get an incredible deal. The vehicle also comes with options for managing your music and media hands-free so that you can focus on the road. Numerous systems go into the outstanding capability and power that this vehicle harbors. Enjoy the Command-Trac system that is designed to give you better stability in all kinds of terrain. The Rock-Trac 4×4 systems are designed to provide you with amazing strength and capability. This vehicle is designed to give you maximum off-road capabilities, and you’ll love the traction, water fording and high degree of articulation provided. Come down and explore the capability of this vehicle so that you can see how it can complement your next adventure. The 2018 Jeep Wrangler JK is available for lease at our dealership serving Thornton Colorado buyers. Come down and explore the 2018 Jeep Wrangler JK near Thornton and get an incredible deal. The vehicle comes with a powerful 3.6-liter V6 engine that is designed to give you outstanding horsepower and torque. You’ll get a six-speed manual transmission for minute control over the driving experience as well. Some of the higher level trims also come with an automatic five-speed transmission option. The vehicle also comes with protective equipment, including a fuel tank skid plate and transfer case skid plate. Overall, this vehicle is designed with a host of options to keep you well-protected and secure on the road. the Why LEASE 2018 Jeep Wrangler JK at any other dealership when you can get your lease at Pollard Jeep? Lots of options are available to help you stay safer on the road. The vehicle comes with a remote start system that is designed to get your car ready for you. The vehicle also comes with electronic roll mitigation and electronic stability control for additional reliability. This vehicle is designed with advanced multistage front airbags and hill start assist. The 2018 Jeep Wrangler JK is available for lease at our dealership serving Thornton Colorado buyers. Come down and explore the 2018 Jeep Wrangler JK near Thornton and get an incredible deal. This vehicle is designed to protect you with both passive and active technologies to help you stay safer on the road. Give our dealership a call to find out about all of the smart safety features that have been built into this vehicle. We will work with you to help you get the right options for your situation. Give our dealership a call to find out more about your options for leasing. We will get you set up with a test drive, go over your information and help you find the best possible vehicle for your situation. Give us a call so that you can discover all of the features you need to get an outstanding level of service. We will work with you to help you get a leasing arrangement that makes sense for you.